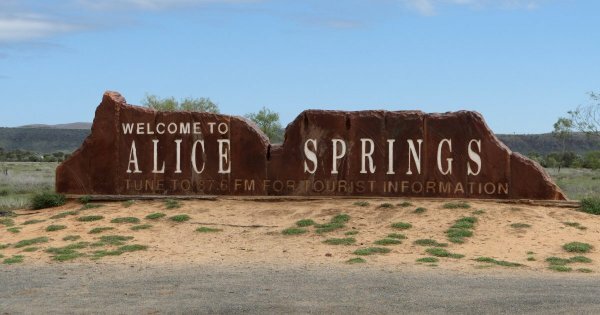 See Australia’s beating heart Alice Springs on Private Tour. When this city may not win any beauty pageants there is a lot more to see and do here than meets the eye. 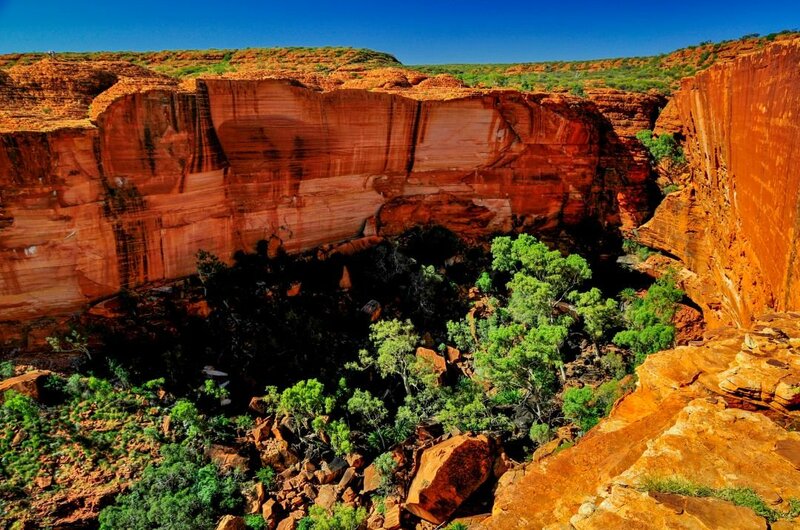 Primarily know for is distinctive red dirt roads this is the place to see galleries of beautiful Aboriginal Indigenous art, cultural museums or just kick back and have a tinny with the local’s. The beautiful mountain ranges are a sightseers dream; Alice Springs is the base in this area for many outback guided tours. Backpackers descend on the city before heading out for their bush tours. 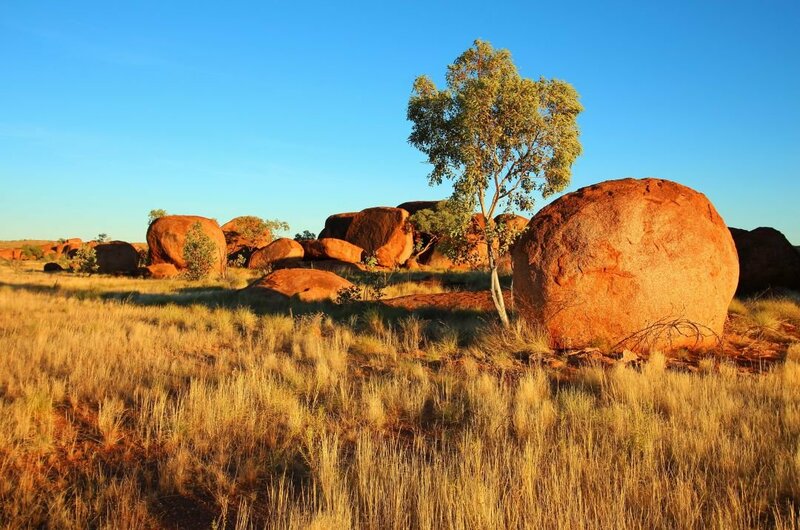 Visit the Devils Marbles, Larapinta Trail and the Kings Canyon just some of the unique hot spots to visit here. A hub for backpackers wanting to go on walkabout, Alice Springs has informative guides and unique tours for every traveller to try. Take an escorted private tour to Uluru-Kata Tjuta National Park and see the red mountains its just spectacular and a total one-off trip. The Beautiful Mountain Ranges Are a Sightseers Dream, Alice Springs Is the Base in This Area for Many Outback Guided Tours. Karlu Karlu or The Devils Marbles is sacred to the Aboriginal People and is a remarkably spectacular site a must do private tour on your holiday. 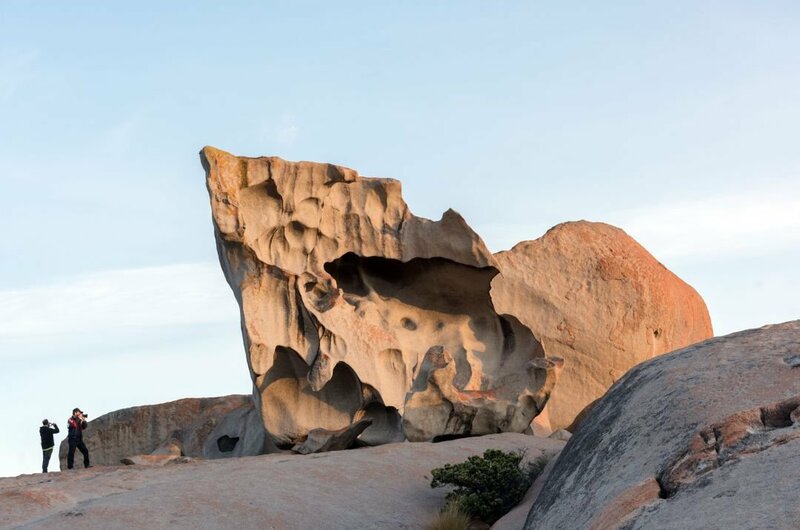 On your guided private tour see the breathtaking scenery and the piles of huge granite boulders precariously balancing on top of each other, they are a total wonder. The Aboriginal artwork centuries old dotted around the site is just remarkable. This Devils Marbles guided tour is unforgettable when you see the sun set on these stones and the beams of light shine through its jaw-dropping. 1Alice Springs, Desert Park is an unforgettable experience for every tourist who visits “Alice”. 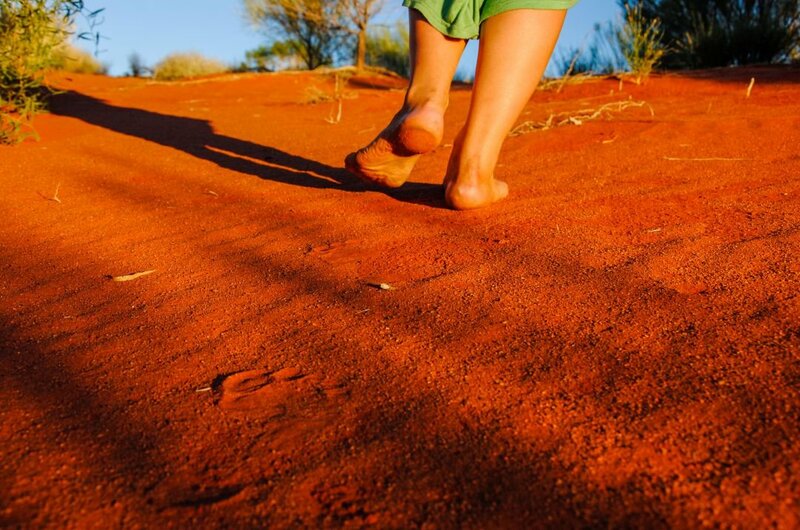 You will discover many secrets of the Aboriginal culture and desert life from the many guides and locals. Take a walking private tour and see three desert habitats; the woodland habitat, sand country and desert rivers. You can learn about hundreds of species of animals and plants found in central Australia. This is a must do and see tour. 2Karlu Karlu or The Devils Marbles is sacred to the Aboriginal People and is a remarkably spectacular site a must do private tour on your holiday. On your guided private tour see the breathtaking scenery and the piles of huge granite boulders precariously balancing on top of each other, they are a total wonder. This Devils Marbles guided tour is unforgettable when you see the sun set on these stones and the beams of light shine. 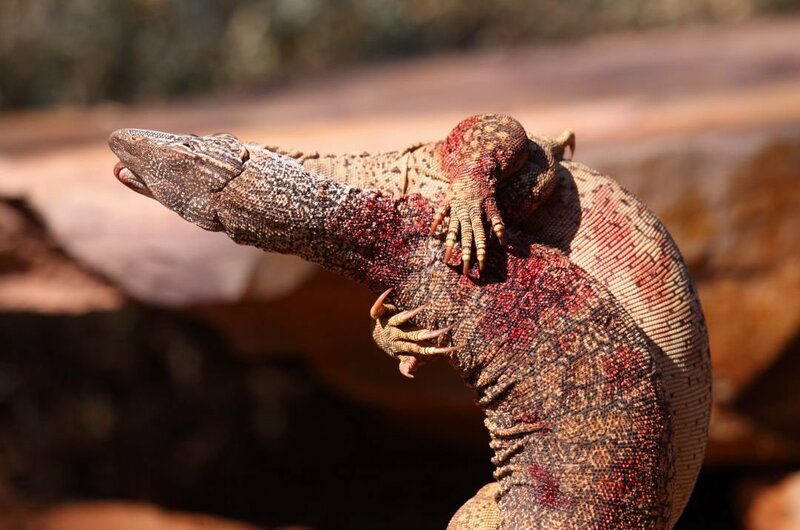 3On a guided tour to the Alice Springs Reptile Centre, you will see the largest reptile exhibitions Central Australia. The displays hold an extensive range of reptiles including frill-neck lizards, thorny devils and Saltwater Crocodiles. The lizard collection hosts geckos from two regions of Australia and the famous pythons can be viewed in their handling session. The daily shows are very informative and lots of fun. 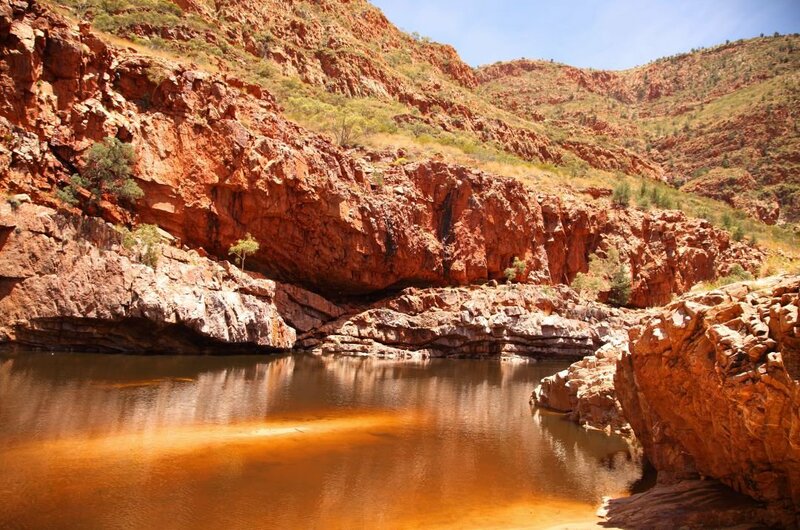 4The Larapinta Trail will take you through theWest MacDonnell Ranges from Alice Springs to Mount Sonder which is the highest peaks in Australia’s Red Centre. One of the world’s best long distance walks the trail unveils the example of and ancient landscape sculptured over decades by climate. The views and ridge lines are second to none with dry river valleys and lush gorges this sightseeing tour is fantastic. 5The West MacDonnell National Park private guided tour will show you the spectacular and vast region of the MacDonnell Ranges. See the fantastic example of ancient landscapes bored from the earth over thousands of years. The scenic gorges that double as hideouts for animals and plants alike can be spotted everywhere. A lot of these strange animals are relics from years gone by but still surviving in this idyllic park. 6Kings Canyon (Watarrka National Park) in Australia’s Northern Territory, sitting at the western tip of the George Gill Range. Take a guided tour and see this ancient formation of tall red rock faces surrounded by palm forests. The sandstone walls were formed over millions of years, and the plant life living here are very rare and unique to this area. Home to many Aboriginal people for over 20,000 years this history in this area is staggering. Visit the land down under with an awesome private tour of Australia, there are few places on Earth that are as vast, multicultural, affluent and bursting with splendour as the entire continent of Australia. Even though the famous Australian outback has become an iconic region that is easily recognisable and a must see, on a guided tour of Australia, you will see that there are many other attractions that should be experienced by every visitor. 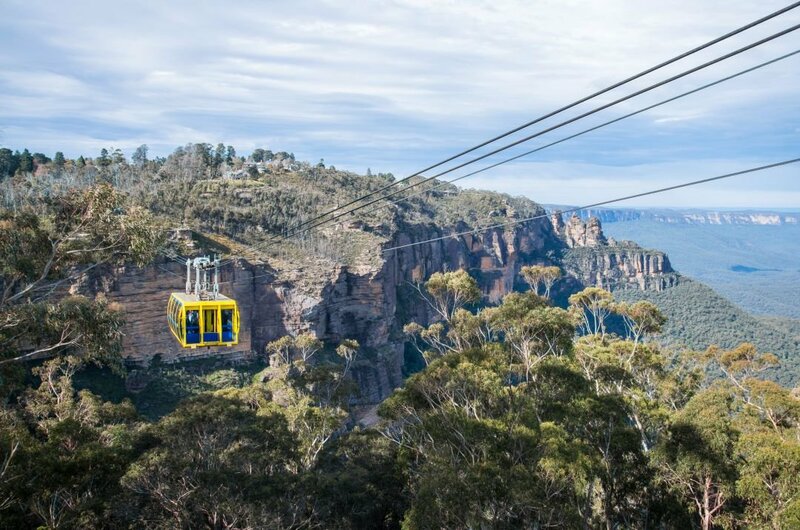 Most tourists book standard Australia sightseeing tours and don’t realise that it has dense rain forests that have luscious green foliage with mountains that beckon visitors to ascend to their summit, and remarkable canyons that stretch for miles. Despite what visitors might think, a private guided Australian tour isn’t only for those who are ready to ‘rough it’ out in the Outback there is so much more. While the continent does appeal to nature enthusiasts, the cities and coastlines are home to some of the world’s most luxurious beaches, hotels and hot spots. 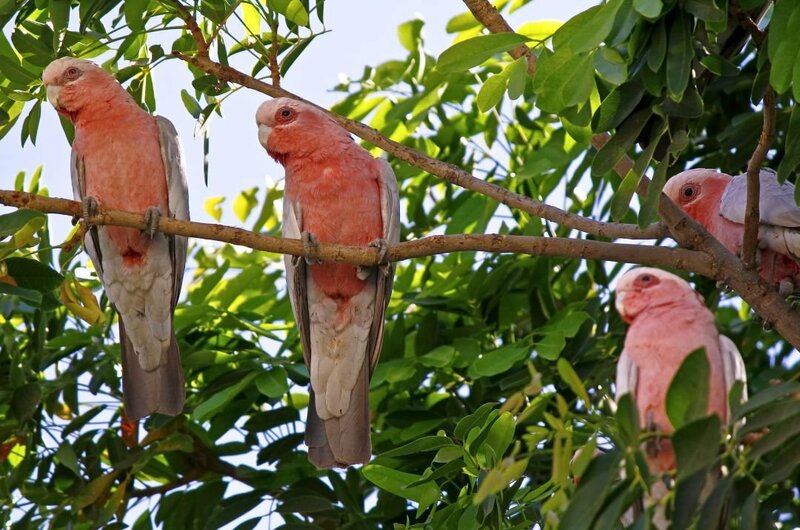 On an Australian Outback guided private tour you have the opportunity to witness culture and wildlife as it should be. See the kangaroos in their natural habitat do their thing or watch the wallabies as they laze the day away. 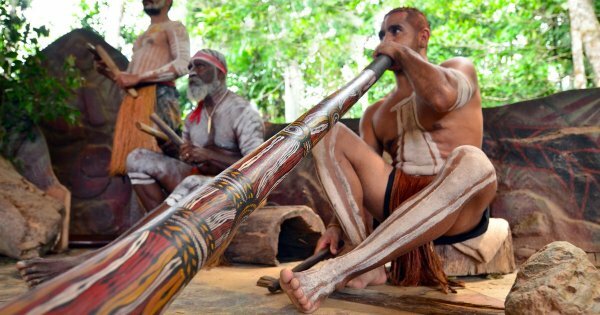 To learn about the aboriginal traditions and if you are looking to experience Aboriginal culture and want to meet these beautiful people arrange it on your Australian Private Tour before you travel. The Aboriginal people shy away from mainstream tourism but some specialised agencies can arrange tours for you, and you will see and learn about these fascinating cultural and traditional people. Australia’s Awesome Top Ten Things to See and Do! 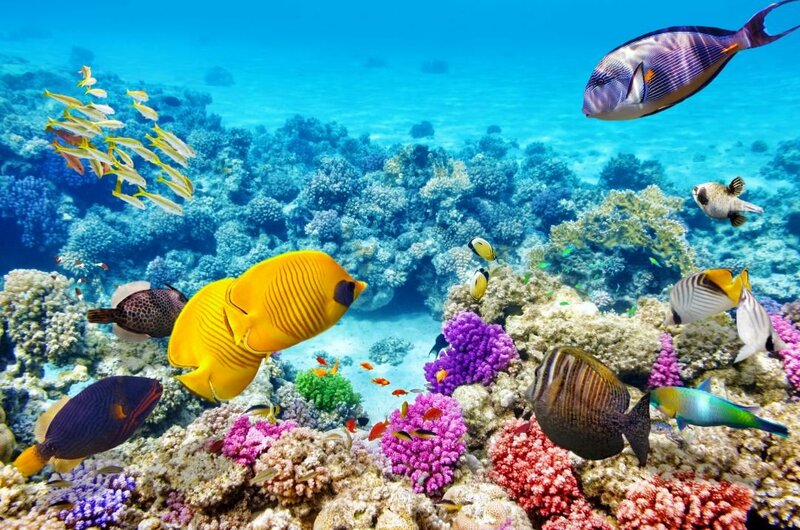 1Australia’s gift, the Great Barrier Reef is with double a breathtaking sight and of the world’s largest coral reef’s. On your guided private tour you can experience the vast abundance of marine life with over 3000 reef systems to see and hundreds of picturesque islands calling you to their sunkissed beaches. On of the worlds, most saught after sightseeing tours enjoy scuba diving, helicopter tours, snorkelling and even swim with the dolphins. 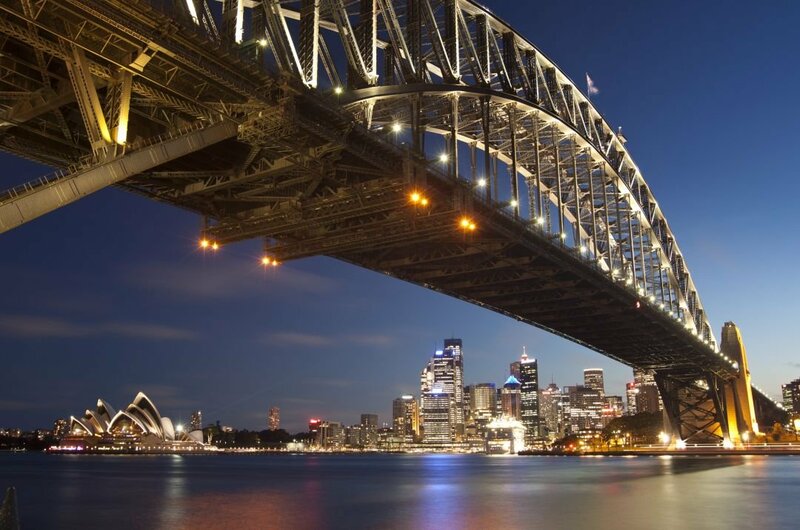 2The Sydney Harbour Bridge climb with Private Tours is an experience you will never forget. The spectacular bridge spanning the city centre to the North Shore is instantly recognisable with its distinctive arch design. On a bridge walk guided tour you will see Sydney at its best from the Opera house to the blue mountains. This experience is crazy and unique, and a must do if you are travelling to Australia. 3Take a Private Tour of Kakadu National Park and see that there is a whole lot more to this wonderful place. At almost 20,000sq km there is a lot to cover on your guided tour. The amazing ancient rock art seen here will blow your mind as you guide relates their importance and history. With an ever changing landscape, you never know what way your tour will go. Cruise on billabongs and see the bustling wildlife and take a swim. 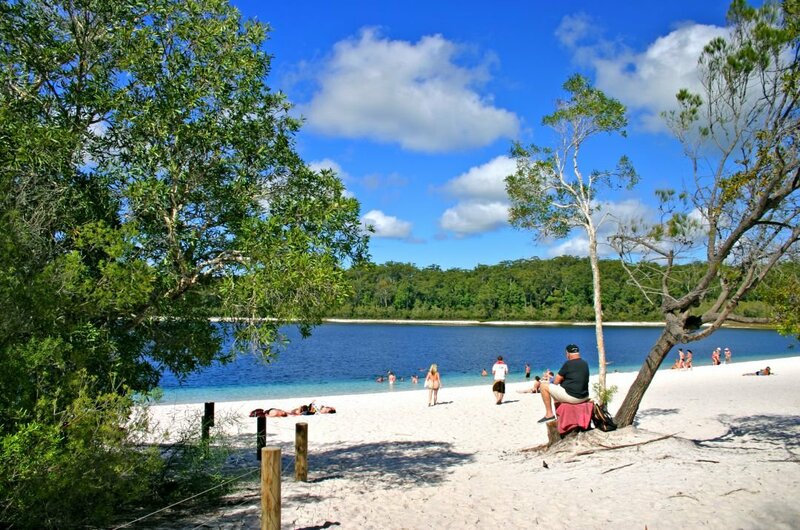 4The locals call it K’Gari which means paradise and a Fraser Island Private Guided Tour will not disappoint. The stunning blue freshwater lakes, giant sand dunes with enormous sandbars this island is incredible and something to see. The island is unique in that it is the only place on earth known to have rainforests growing on the sand. The freshwater lakes and mineral streams inland stretch out the beautiful sandy beaches a must see on your holiday down under. 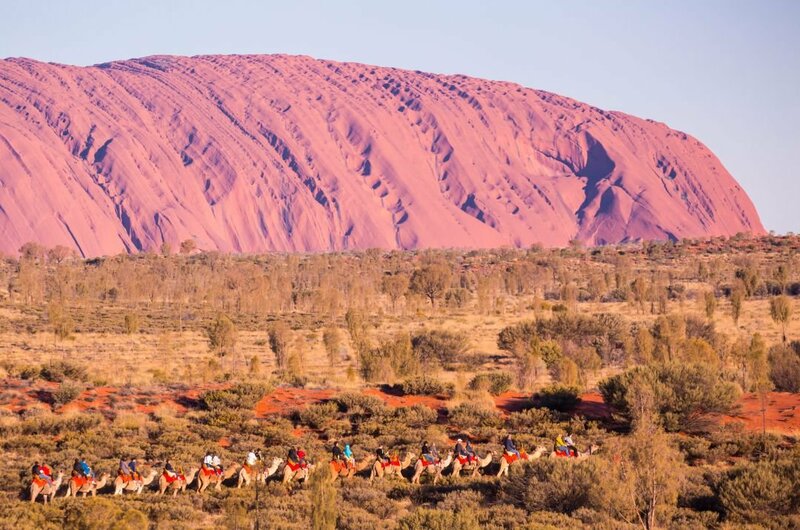 5Uluru or Ayres Rock is the most recognisable sightseeing tour destination in Australia. On your Private Guided Tour of Uluru, nothing will prepare you for the sheer size and solitary positioning of this wonder. Towering at 348m high above ground this Goliath Rock is in fact believed to be only two-thirds above the earth making it astronomical in size. All the sacred sited around the base are restricted to the public by Anangy Law. 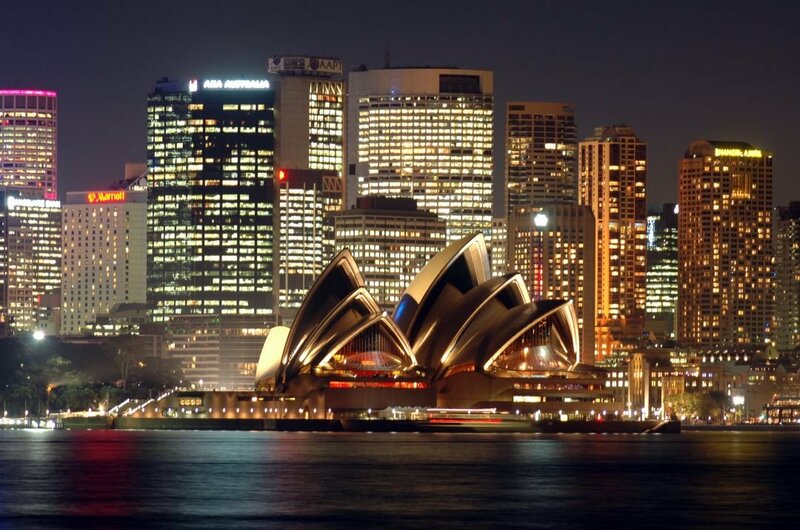 6The Sydney Opera House Private Guided Tour is great as you will discover why UNESCO has listed this iconic place. The design is a masterpiece of creativity and shows the mastery of the building crew that worked on it. On the Oprah House Tour, you will learn all about the Danish architect Jorn Utzon and see first hand his incredible vision. Go backstage and see exactly what goes into hosting the many shows and Oprah’s at this stunning site. 7Private Tour Blue Mountain trips will captivate you from the start. The blue horizon of eucalyptus trees that appear as you enter seem to go on forever and will entrance you, but its natural beauty will captivate you. 87 miles of trekking walks and bushland see the fabulous rock formations and underground caves. The local Aboriginal guides delight you will their dream stories. It is a unique, amazing and beautiful tour. 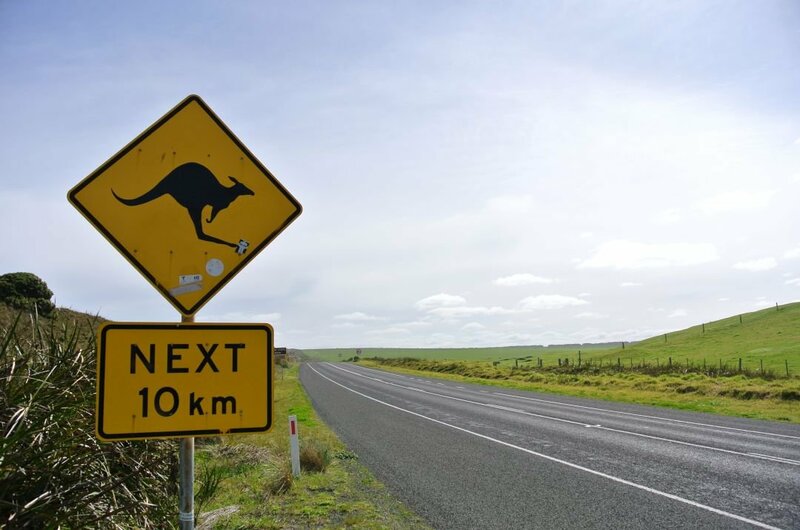 8Australia’s most scenic drives, the Great Ocean Road is a sightseer’s dream trip. Take a self-drive tour and head off from Torquay to see the famous 12 Apostles and Port Fairy or any major city. The beauty of doing this journey is at any time you can go walkabout anytime anywhere. See the kangaroos and koalas amble along the forests, zip-line through the treetop canopies. Stop off and take a surf lesson the choice is yours and the trip is great. 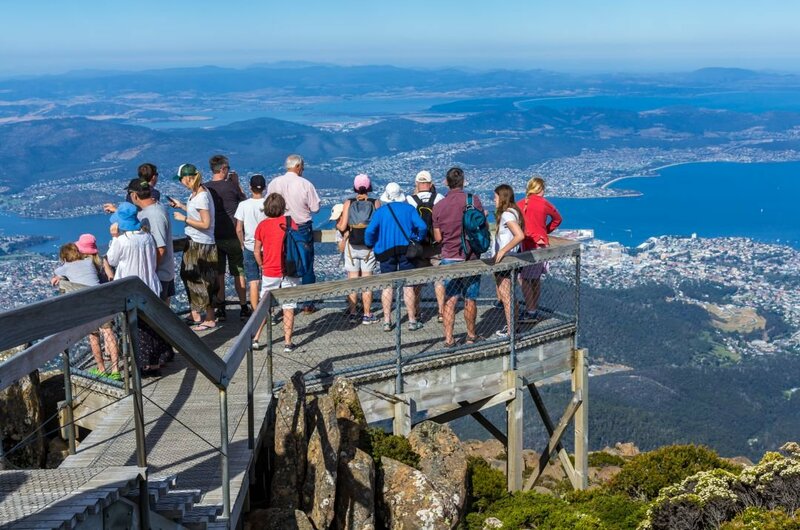 9In Tasmania’s capital, Hobart is Wellington Park, a natural reserve park lots to see and do. Take a walk through the forested gullies or head out on horseback to the Wellington Range. Hire a bike or 4 wheeler to navigate your way through the rough mountain trails. Take some R&R and have a BBQ or picnic. There is so much to see and do here you time will be filled quickly, its a family fun day. 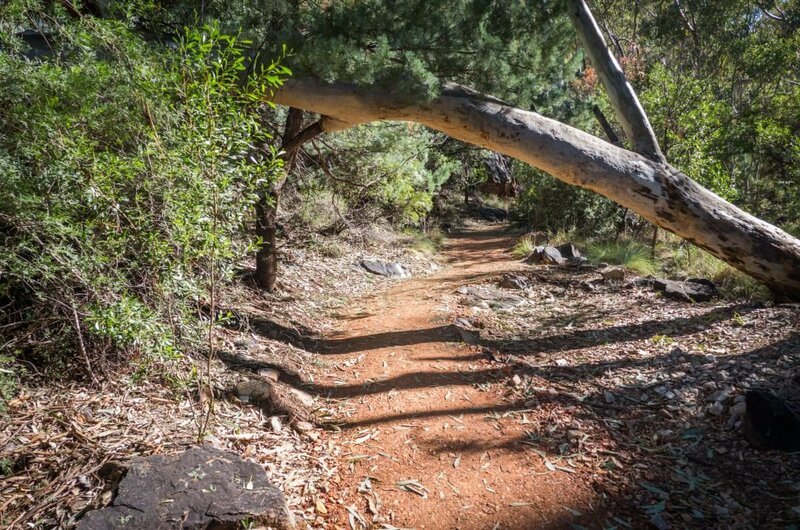 10Flinders Chase National Park is characterised by it’s tree-lined gullies, woodlands and gorges. While on the Parks sightseeing tour you will see how the coast is wild and there is wind-worn seascape’s where pounding seas have sculpted strange shapes in the limestone cliffs. Take the private guided tour and spend five days traversing this great Park and see the spectacular beauty that this region has to offer. Prague, with all of its beauty and richness in people and culture, experience one of the largest turnouts of people annually in the name of tourism. This city is hot candy among tourists and that candy is never growing cold anytime soon as the crowd of heads visiting do not seem to be waning at all, the private tours of Prague to an unusual location such as Prague would surely have much to offer, and you might not be sure on how well or what to prepare for the trip, given that you are a first timer. On the eye, Prague is undoubtedly pleasing with its amazingly beautiful medieval city layout coupled with a very rich history to back it up. With the Vegas-inspired nightlife, parks that are as expensive as can be and also, a whiff of love and romance in the air, you simply could not but fall in love with this city. You must carefully plan to take guided private tours of Prague that would totally be worth every second. A trip to an unusual location such as Prague would surely have much to offer, and you might not be sure on how well or what to prepare for the trip, given that you are a first timer. On this note, we carefully plan your private tour to Prague that would totally be worth every second. A walking tour of Prague is usually a good place to start from when you are trying to get yourself accustomed to the new environment. During the walking tour in Prague, you would be able to gain access to some priceless and fascinating information such as a history of the city and it would also be a great place to know about any side attractions that are worth seeing before you repack your bags for home. In Prague, there are a lot of walking tours that you can join, and you absolutely have the freedom of choosing from a wide variety of tour groups. All tour groups in Prague converge near the astronomical clock located in the old town square at about 10 am daily. These tour groups will give you the basic knowledge that you need about locations such as the Old Town Square, Charles Bridge, Prague Castle, etc. When in Prague, the next compelling place you should see after your walking tour is the Prague Castle. It is even much more logical since any walking tour you take would always make sure you end up near this popular view. The castle casts an imposing figure in the entire city and within it, there are a variety of sections to visit such as the St. Vitus Cathedral, the Old Royal Palace, St. George’s Basilica, the Powder Tower, Rosenberg Palace, etc. The most famous and sight-worthy location in the castle is the St. Vitus cathedral – a large building that is even visible when you’re outside the city’s walls. Petrin Park is the biggest and most beautiful park in the city of Prague and from there, you can view the city’s landscape in a better way. The Petrin park is home to attractions such as a garden, has a maze designed into it and also, a beautiful watchtower that bears semblance to the Eiffel Tower in Paris. The Petrin park is sited on a hill, and this can make it quite a daunting exercise to try and submit it, but it is well worth a try for a shot at adventure. In the case that you might be feeling less adventurous, though, there is provision for a funicular which would take you up and down the hill as you, please. A day at Petrin Park should be rounded up by just proceeding down the neighborhood towards Kampa, from where you would see the John Lennon wall. The wall became to be known as such when some students from the 1980s started to write the lyrics of a popular artists, John Lennon, on the wall, in a bid to voice out their displeasures and grievances. Today, tourists are even allowed to paint and write on the wall which now stands for love and peace. With everything you’ve done on this day one, you must have been spent already and relaxing near a waterfront is just what you need to unwind. Kampahas some impressive restaurants by the river, and you would find these by just walking down from the John Lennon wall and crossing a bridge on the way. From your walking tour, you would have gotten an excellent view of the Old Town Square itself, but this is nothing compared to fully immersing yourself in the beauty of the square. Hang around to watch while enjoying a nice snack, look at the much talked-about astronomical clock, make a visit to the churches in the area and do not forget to check out the city’s catacombs which would surely worth your exploration time. The Jewish Quarter is one of Prague’s biggest attractions, given that this was the location saved by Hitler to make into a museum for the Jewish race he wanted to wipe out. The museums and graveyards in this area now serve as a memorial of honor to what used to be the largest community of Jews in Europe. The park is located just a few walking meters from the Jewish quarter. There are a lot of walking trails in the park, a broad view of the city and for your refreshments, a café is at hand. At the park, you ae also likely to come across art students who are making paintings of the landscape. On the other side at Chotkovy Sady, you would be treated to a beautiful view of gardens and the Prague castle’s rear view. A secluded path in this area is as discreet as can be and a romantic stroll here would not be forgotten in a hurry. The underground tour of Prague takes you through an underground passage that runs under a series of houses. This would also expose you to even more of the catacombs that are present in the city of Prague. Kutna Hora gained its prominent status in the medieval age as this was a very important mining site for silver, which generated lots of wealth for the Prague kings. The town has now also gained recognition for a location known as the bone church, containing tens of thousands of bones. Other site-worthy attractions in Kutna Hora includes the medieval churches, town square, and the well-groomed streets. Vysehrad, alongside the Prague Castle, was also one of the castles that housed the kings of Prague. Built in the 10th century, the castle holds the oldest standing building in Prague – the Rotunda of St. Martin. This is a place that few tourists visit so be sure to have more of the view to yourself. The Powder Tower is one of the 13 gates the city originally had. With its construction starting in the year 1475, the tower was named so because it was mainly used to store gunpowder. Unfortunately, the tower got damaged in 1757. After taking all of these best private tours of Prague and going to the various locations as listed, you most likely now have a full view of what Prague has to offer you. It might now be time for you to unwind by just walking the streets of Prague and soaking in all the other sights as you see fit. Don’t worry, just be happy.